American Craft Beer Week officially runs from May 11th to 17th but as in years past Richmond will start the party early. Here are some details on festivals and parties happening during the week. Bookmark this page and check back for updates. I will get more information on the beers but so far I’m excited by O’Connor’s “South by SouthWit” and Hardywood’s Mesquite Scotch Ale. Join us on Saturday, May 16 as we host the Copper Fox Brewfest & Mesquite Challenge! 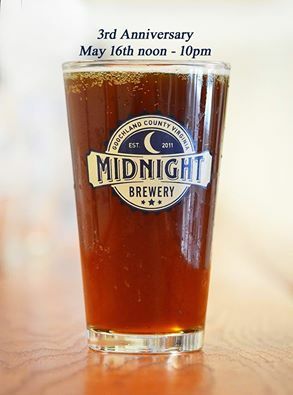 Nine Virgina breweries teamed up with Copper Fox Distillery to create nine new beers EXCLUSIVELY for the event. This beer isn’t just any beer, though. Each brewery created their beer using a special ingredient: Copper Fox’s Mesquite Smoked barley malt. The exciting new brews range in styles from Wit to Doppelbock, to Pale, Brown, and Porter and can’t be found anywhere else! The event will be held from 12 pm – 5 pm in the spacious parking lot at Capital Ale House Midlothian. Live music will be provided by Notch 9, a Richmond based bluegrass and folk band. There will also be homemade BBQ and other fare to pair with the smoky ales. For guests under 21, non-taster tickets will be available for $5 and include entrance and live entertainment. Children 12 and under must be accompanied by an adult and entrance is free. The Brewfest celebrates Virginia agriculture, Virginia brewers, and Virginia ingenuity, and highlights Copper Fox Distillery as one of America’s original modern-day craft maltsters. Come on out and support our local breweries! Midnight will celebrate their anniversary by releasing Man Overboard! Belgian Tripel.